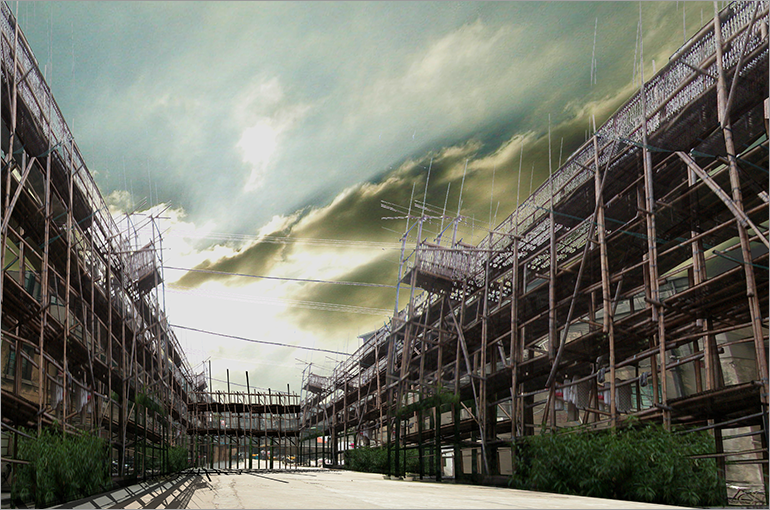 Redevelopment of the Li-Long housings. Li-long housing is formerly designed for workers. Li-long means streets and avenues. It is a collective housing designed for one family for one unit. Now there lives one family for one “room”. Now most of it is under demolition to build a high rise building. Our task was to find a counter plan against building a High rise building. Could there be a proposal other than a economic principle driven high rise buildings? There is no such a kind as a plaza in Li-long. Instead there is passages. This passage is used as an extension and supplementary space of every day life. Because of too small private spaces the residents own, they live outside their home. Makeing a bulding with minimum Private space and rather huge public space was our answer. What we tried to preserve was the some sense of sharing spaces with each other.